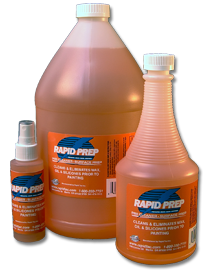 Quick Stick Application Fluid aids with the adhering of pressure sensitive materials to a wide variety of smooth surfaces! 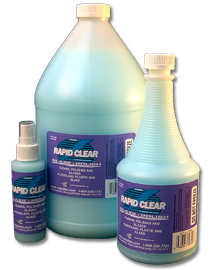 Rapid Clear cleans & polishes any transparent material, glass, plex, Lexan, even great (and easy) on non-transparent surfaces. 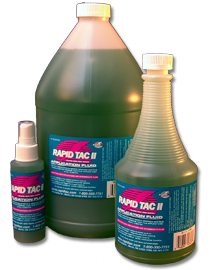 For fast, easy, quality installation of graphics with no bubbles, even in cold weather. 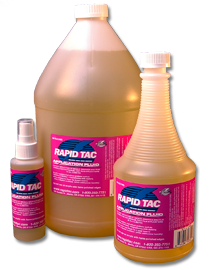 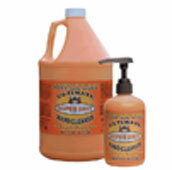 Window Juice gives you time to position your graphics and gets you off the job fast!